Come enjoy the baby animal cuteness from Taronga Western Plains Zoo in Dubbo, Australia. 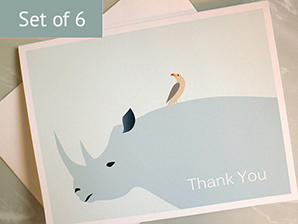 Rompin’ rhino! 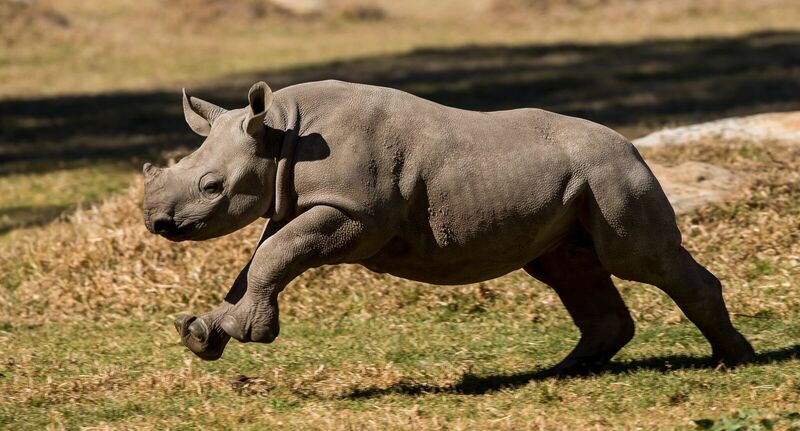 This black rhino calf, named Mesi, was born in April and has only recently gone on public display with her mom. Photo by Rick Stevens, Taronga Western Plains Zoo. 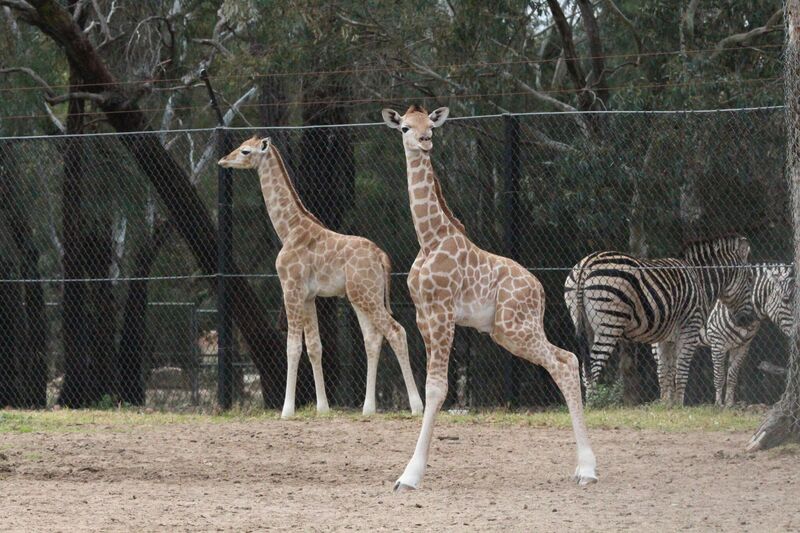 Mirror image: The two giraffe calves, born 1 week apart, check each other out. [Read more about Zuberi and Kibo.] Photo by Rick Stevens, Taronga Western Plains Zoo. Kendi, a three-month-old hippo calf, soaks up the sun with her mom. Photo by Rick Stevens, Taronga Western Plains Zoo. 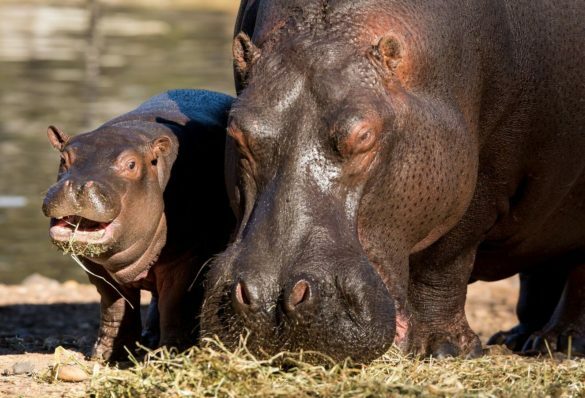 You can learn facts about these animals in our articles: Giraffe and Hippopotamus. 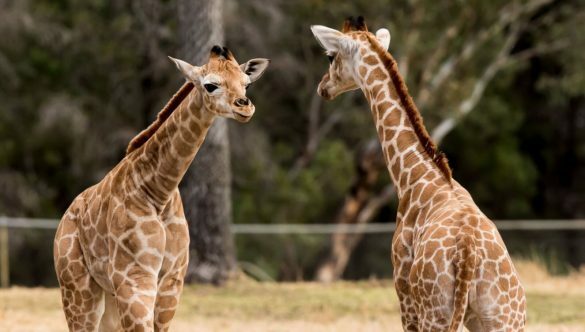 Taronga Western Plains Zoo in Dubbo, Australia is doubly pleased to announce the birth of two baby giraffes- born just one week apart! The first calf has been named Zuberi, which means “strong” in Swahili. He was born in the exhibit around noon on August 8. Photo courtesy of Taronga Western Plains Zoo. The second calf arrived on August 15 in the middle of the night. He has been named Kibo, which means “the highest”. Learn more about giraffes at our giraffe facts article. Did You Eat Your Dirt Today? 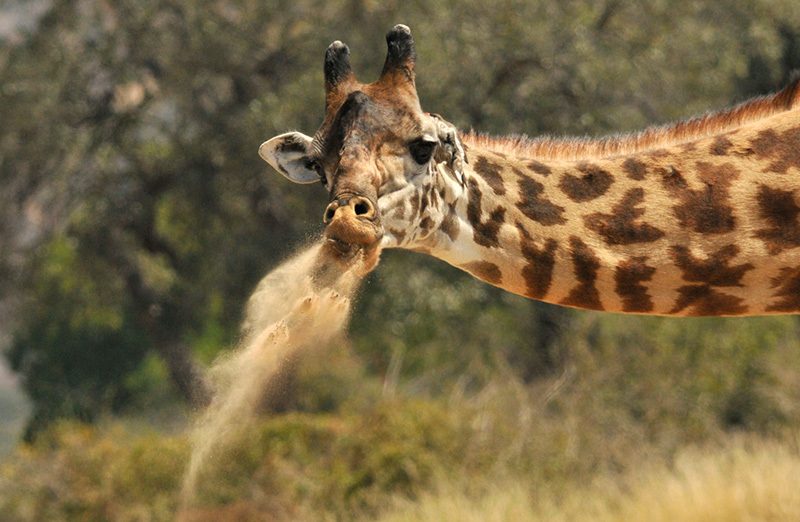 A giraffe spits dust after eating dirt. Photo by Marie-France Grenouillet. Wildlife photographer Marie-France Grenouillet captured this spectacular photo of a giraffe spitting dust out after eating soil in Ruaha National Park, Tanzania. The act of eating soil, clay and dirt, called geophagy, is extremely common in mammals, especially in herbivores. Giraffes eat soil in order to take in minerals such as salt, copper, iron and zinc. The clay also acts as a medicine by binding fungal toxins, internal toxins, toxic chemicals, and bacteria. View more fantastic wildlife photos at her website. You can learn more about giraffes at our giraffe facts article. Cow goes moo. Frog goes croak. 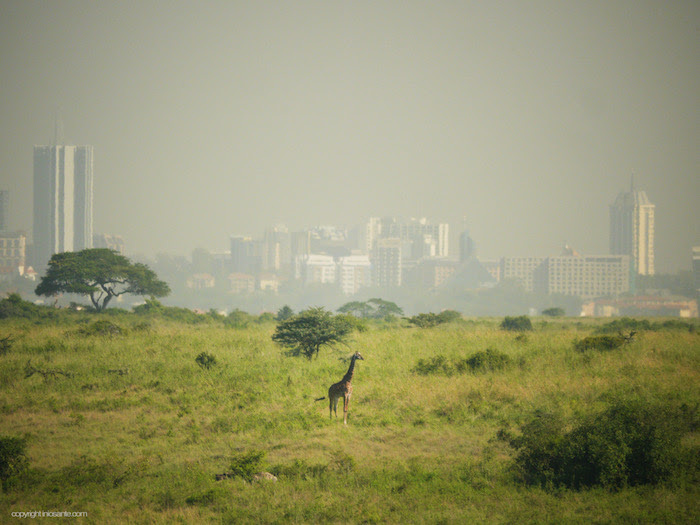 Giraffe goes…. hmm? 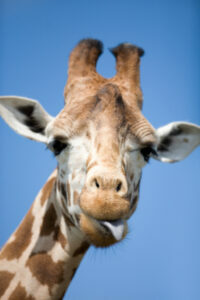 Zookeepers have always assumed giraffes were fairly silent creatures, with the occasional snort thrown in. The assumption was that their long necks restricted their ability to make sounds, and also that being noisy would attract predators. 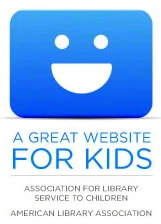 But researchers from the University of Vienna challenged this assumption. After recording and studying 938 hours of giraffe sounds over an eight year period, the scientists have discovered that in fact giraffes do make sounds. They make low-pitched humming sounds at night. Learn more about giraffe sounds and the new research at Wired.com. 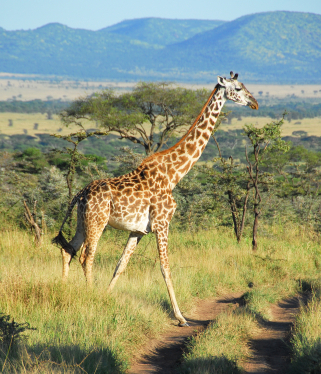 Discover more giraffe facts at our giraffe article. Three-week-old Kipenzi, a giraffe calf at the Dallas Zoo, made her grand entrance on Friday to the delight of zoo visitors. 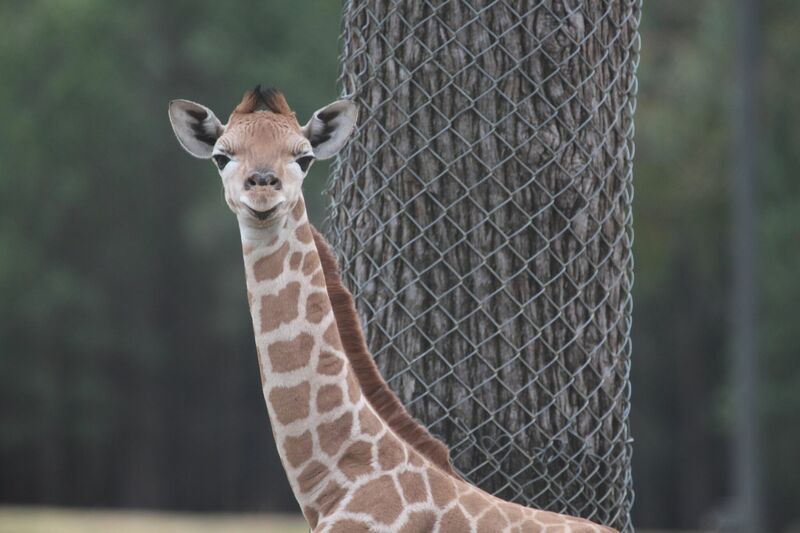 “Kipenzi” is a Swahili word meaning “loved one” – a fitting description for this adorable baby. Her birth on April 10 was viewed in real time via video feed by millions of people through a partnership with Animal Planet. 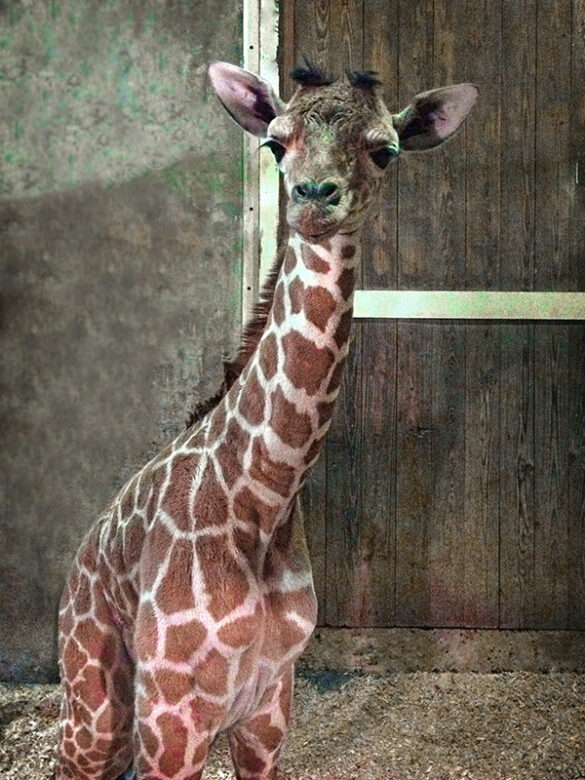 To learn more about Kipenzi, visit the Dallas Zoo website. Learn more giraffe facts at our giraffe page. Meet our featured animal: the giraffe! At an average height of around 5 m (16-18 ft.), the giraffe is the tallest land animal in the world. Many people first believed the giraffe was a cross between a leopard and a camel, which is reflected in its scientific name, Giraffa camelopardalis. Giraffes have long tongues which help them pull leaves from trees. Both male and female giraffes have skin-covered knobs, called ossicones, on the top of their heads. Male ossicones are bald at the top, while female ossicones have tufts of fur. When giraffes walk, they move both legs on one side of their body and then both legs on the other side; this is unique to giraffes. However, they run in a similar style to other mammals, swinging their rear legs and front legs in unison. Learn more at our giraffe facts page! 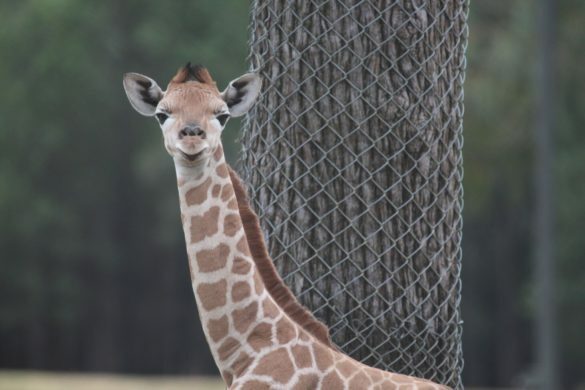 Baby giraffe, Tamu Massif, arrived on May 16 at the Memphis Zoo. Photo by Caitlin Miller. Courtesy of Memphis Zoo. 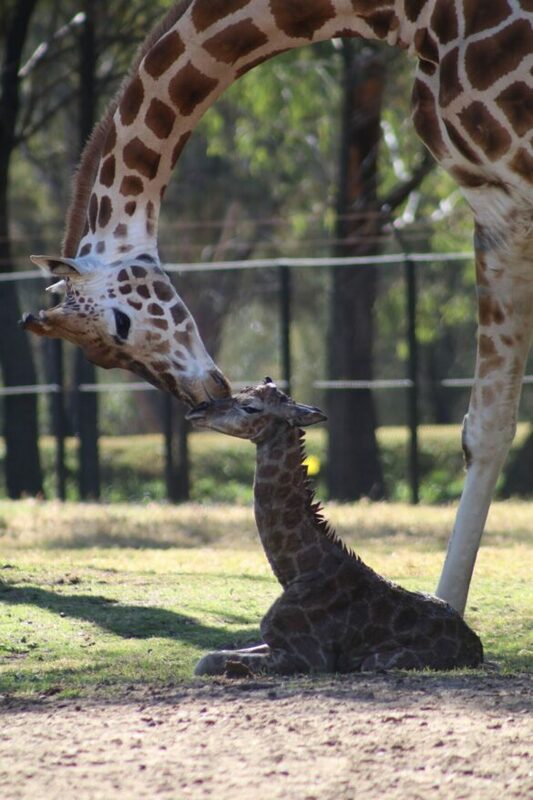 Excitement continues at the Memphis Zoo with the birth of a baby reticulated giraffe on May 16. 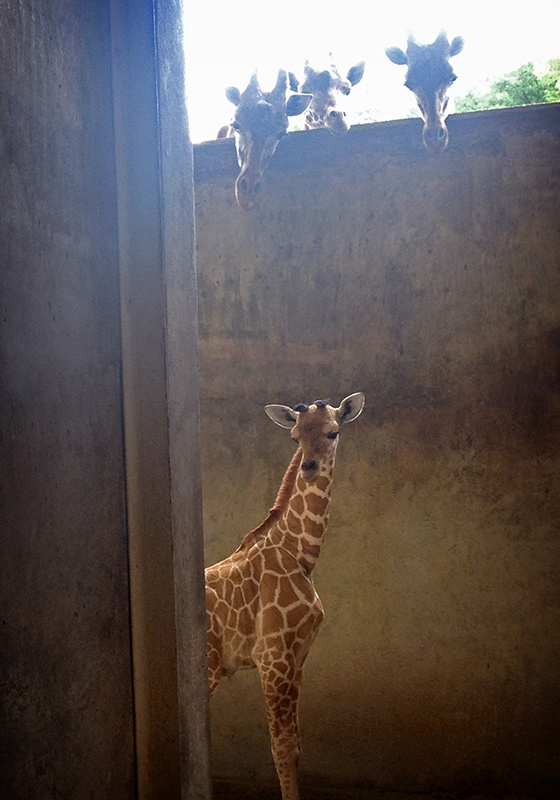 The male giraffe calf, named Tamu Massif (tam-MOO mah-SEEF), weighs 150 pounds. He is the fifth calf for mother Marilyn. The giraffe’s name means “sweet giant”. It is also the name of a dormant, underwater volcano in the Pacific Ocean. Tamu explores his surroundings as other members of the herd look on. Photo by Caitlin Miller. Courtesy of Memphis Zoo. To learn more about the baby giraffe, visit the Memphis Zoo’s website. You can learn more about giraffes at Animal Fact Guide’s giraffe facts page. Busch Gardens experienced a baby boom this spring! 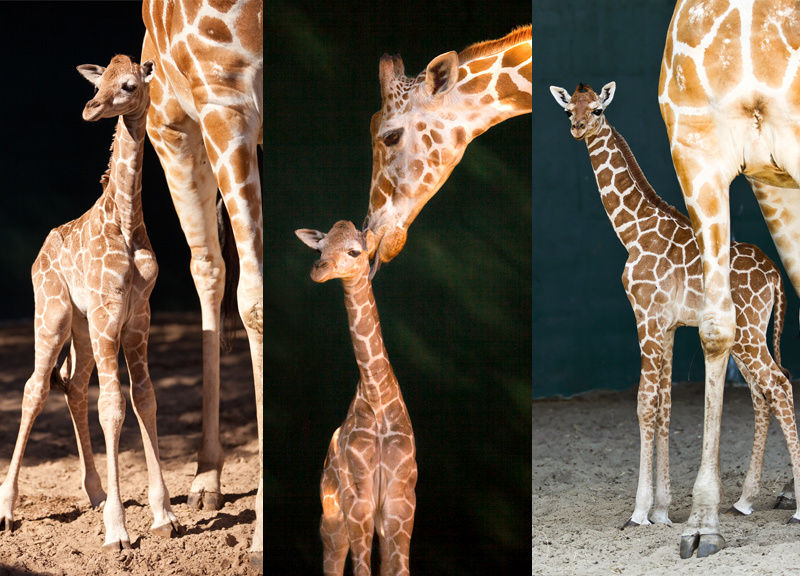 Three giraffe calves were born in March to mothers Bititi, Tequiza and Celina at Busch Gardens. Photo by Busch Gardens. Within an hour of being born, all the calves were standing up. And within two hours, they were all nursing! For now, the babies will reside behind-the-scenes, but in the coming weeks they will be on view on Busch Gardens’ Serengeti Plain. For more information, visit the Busch Gardens website. To learn more about giraffes, visit our giraffe facts page.